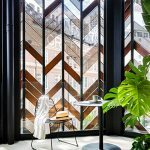 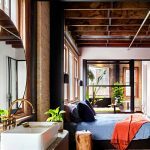 An 80-year-old warehouse has been elegantly remade into the chic Paramount House Hotel, a boutique property that champions sustainable practices in more ways than one. 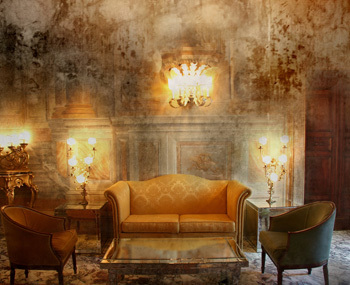 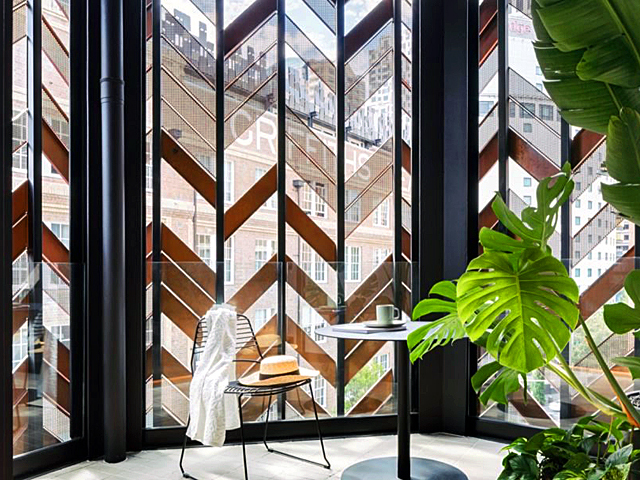 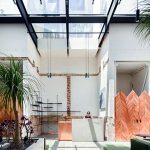 Designed by Melbourne-based Breathe Architecture, the adaptive reuse project in Surry Hills, Sydney, houses 29 unique rooms as well as a sun-soaked lobby that weaves original architectural features together with contemporary elements. 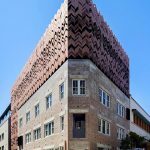 In addition to the sensitive renovation of the historic building, the architects also used locally sourced materials wherever possible and installed a 7-kW photovoltaic solar array on the roof deck to supplement the building’s energy needs. 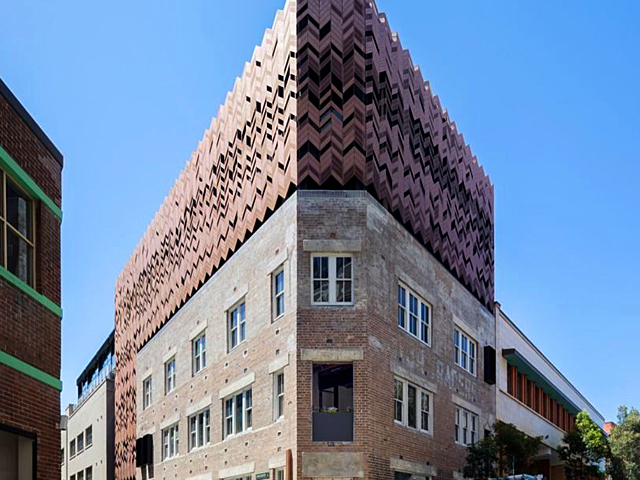 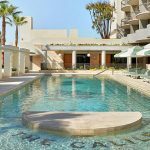 Named after the Paramount House (formerly Paramount Pictures Studio) next door, the Paramount House Hotel was completed over the course of four years and opened to guests this year. 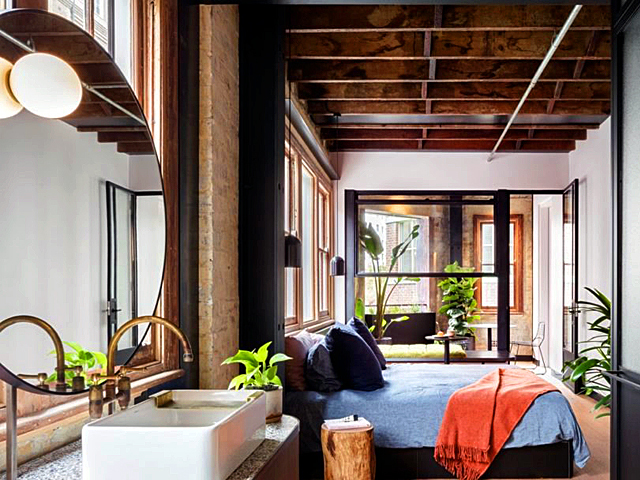 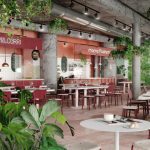 In addition to capturing the raw industrial qualities of the 1930s brick corner warehouse into the redesign, the architects also took cues from the art deco styles of the surrounding former film district from dressing the interiors to reimagining the exteriors. 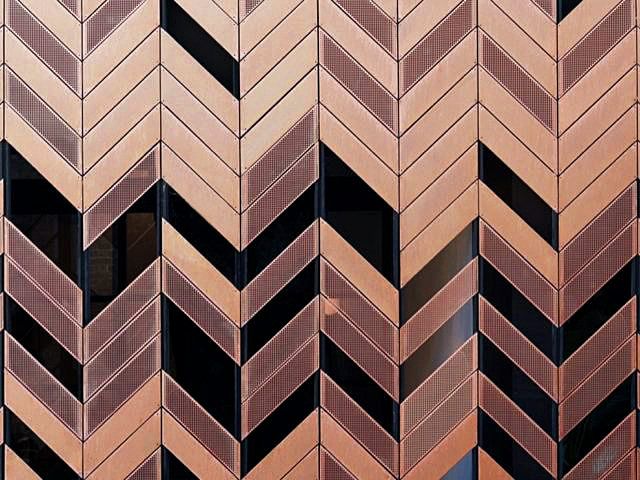 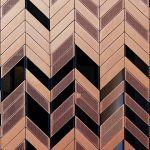 Most notably, the architects added a copper, chevron-patterned screen that crowns the brick building and provides solar shading. 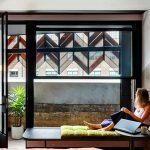 Within the restored brick and timber shell, Breathe Architecture inserted structural and architectural metalwork, concrete, recycled timber floorboards, low-VOC finishes, locally designed tiles and furnishings that are entirely made in Australia. 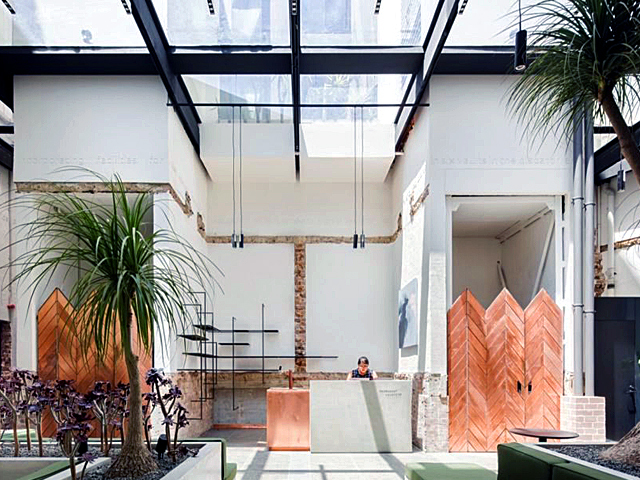 A former film vault was transformed into the welcoming reception lodge. 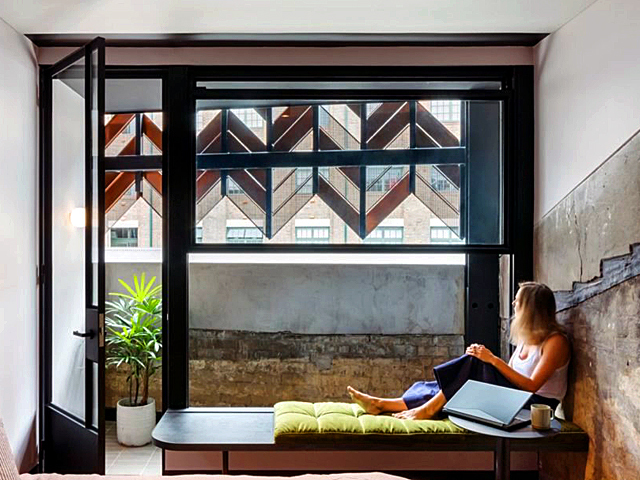 Each of the suites includes an external terrace carefully placed for shading and natural ventilation.